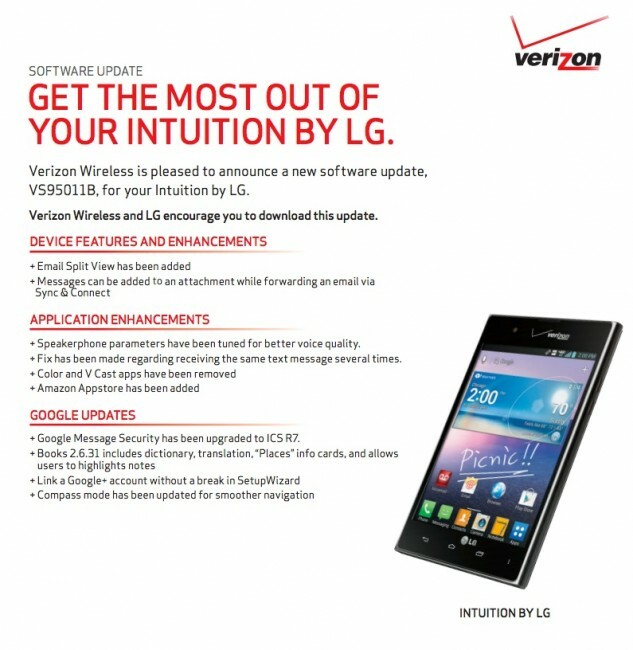 The LG Intuition (aka the Vu) is set to receive its first update as a phone on Verizon’s network. The new build number for the update is VS95011B and includes a number of fixes and enhancements. An email split view has been added to the email app, spearkerphone parameters have been tweaked, Color and V CAST were removed, the Amazon Appstore has been added (weird), along with some other minor tweaks. The update is 204.5MB in size. Does anyone own this phone?